Tyler Duncan, baritone, recently performed at the Metropolitan Opera as Prince Yamadori in Puccini’s Madam Butterfly. At the Spoleto Festival he debuted as Mr. Friendly in the 18th-century ballad opera Flora, returning the next season as the Speaker in Mozart’s The Magic Flute. Other appearances have included the role of the Journalist in Berg's Lulu and Fiorello in Rossini's Barber of Seville, both at the Metropolitan Opera, Raymondo in Handel’s Almira with the Boston Early Music Festival, Dandini in Rossini’s La cenerentola with Pacific Opera Victoria; and Demetrius in Britten’s A Midsummer Night’s Dream at the Princeton Festival. Issued on the CPO label is his Boston Early Music Festival recording of the title role in John Blow’s Venus and Adonis. 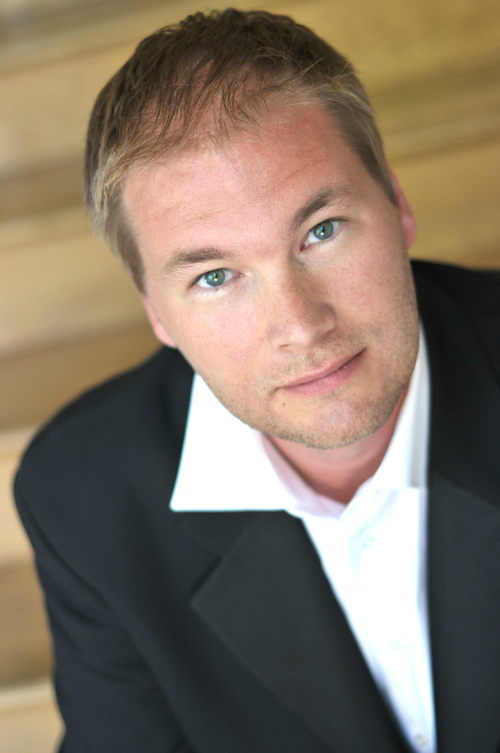 Mr. Duncan has received prizes from the Naumburg, London’s Wigmore Hall, and Munich’s ARD competitions, and won the 2010 Joy in Singing competition, 2008 New York Oratorio Society Competition, 2007 Prix International Pro Musicis Award, and Bernard Diamant Prize from the Canada Council for the Arts. He holds music degrees from the University of British Columbia, Germany’s Hochschule für Musik (Augsburg), and Hochschule für Musik und Theater (Munich). He is a founding member on the faculty of the Vancouver International Song Institute.